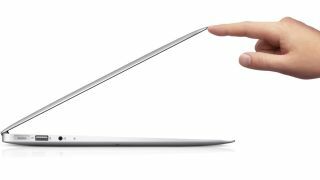 Google acknowledged that their Google Chrome browser is causing some users to have to reboot their Apple MacBook Air laptops. Chrome is causing kernel panics on the new MacBook Air, crashing not only the browser, but the entire system as well. Google admitted that Chrome is the source of the crashes, though they say the problem ultimately lies with Apple's MacBook Air drivers. In other words, this is Apple's problem to fix. "The resource leak is causing a kernel panic on Mac hardware containing the Intel HD 4000 graphics chip (e.g. the new Macbook Airs). Radar bug number 11762608 has been filed with Apple regarding the kernel panics, since it should not be possible for an application to trigger such behavior. "While the root cause of the leak is being fixed, we are temporarily disabling some of Chrome's GPU acceleration features on the affected hardware via an auto-updated release that went out this afternoon (Thursday June 28). We anticipate further fixes in the coming days which will re-enable many or all of these features on this hardware." As Google's statement says, the search giant released a patch for Google Chrome yesterday that disabled the features that were causing the kernel panic. GPU acceleration helps Google Chrome load graphics-heavy websites with less delays for users. Sources suggest that those still running into issues can also try installing the latest dev or Canary builds of Google Chrome, which, as the names imply, are used to test features "for developers and early adopters." Now the ball is in Apple's court, and MacBook Air users are actively awaiting a driver update. Better that than go back to Firefox.